All entertainers are speakers, but not all speakers are entertainers. Let Hart bring his experience as an illusionist and mentalist to your event as he delivers a memorable keynote that will not bore your audience, thus making you look like a hero! 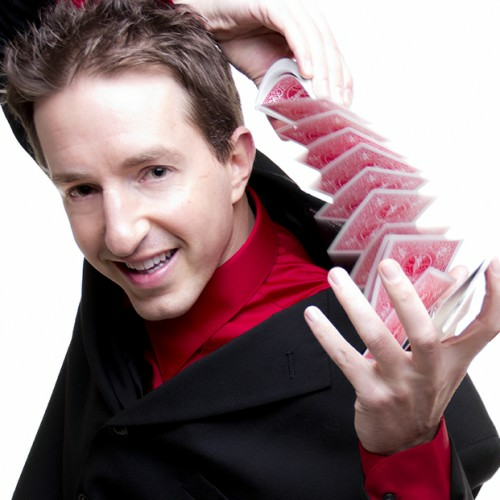 Speaker and Magician Hart Keene doesn’t just perform illusion and mentalism, he brings the experience of wonder and awe to an event. With an engaging personality that will enthrall even the most experienced audiences, Hart lights up events with his quick wit, charm, and hilarious presentations. You’ve seen Hart on numerous television shows including the hit NBC show America’s Got Talent, as well as on TNT’s The Librarians. Whether you are wanting an entertaining end to a multi-day conference or need a customized presentation themed around your company's message, Hart has a program that will leave your attendees raving! Hart will teach your attendees how to use magic and mentalism to be more memorable, connect with anyone, and to increase sales by using surprise and thinking like a magician. But most importantly, he is able to deliver all of this in a highly interactive, entertaining way, something that is often missing from the presentation of other speakers. Find out why companies like Nike, Intel, Pepsi, and Costco use Hart when they need a "sure thing" to impress attendees and leave them talking long after the event. So don't hesitate, contact Hart today if you want a guaranteed hit that will have your attendees talking and thanking you long after the event! Find out more about Mind Blowing Speaker at http://www.hartkeene.com.